SIEM is a powerful security tool when deployed successfully. But, gathering insights and achieving the benefits of using a SIEM tool can be a challenge and many organizations fail to do so. Unfortunately, if you’re not maximizing the value of SIEM it can leave your organization vulnerable to suffering a breach. In this blog, we share some of the pitfalls to avoid with SIEM tools and how to overcome them. The IT hardware required to support the SIEM solution. Your regulation requirements and if you need real-time monitoring and incident response. Do you offer onboarding training or training services for customers? What are the helpful features that are built into your SIEM solution? How many data sources can your SIEM ingest? How does the log correlation work? To what extent does the correlation work? Can your SIEM run on a cloud platform? Does your product support a mobile interface? How does your product monitor for threats? Is monitoring done in real-time? How does your SIEM help remediate threats? How scalable is your product? Short-term and long-term. Does your product work in physical, virtual, and cloud environments? Who do I go to for support? What is the support response time? What type of reporting is offered out of the box? What reporting can be customized? What types of compliance reporting do you offer? How many resources are needed or recommended to operate the SIEM? What is the cost projection for 12, 24, or 36 months out? What is the expected Return on Security Investment (ROSI) for the SIEM purchase? You need a thorough understanding of how the SIEM will work and how it will help achieve your objectives. The questions above will help you drive toward the best solution possible for your organization. 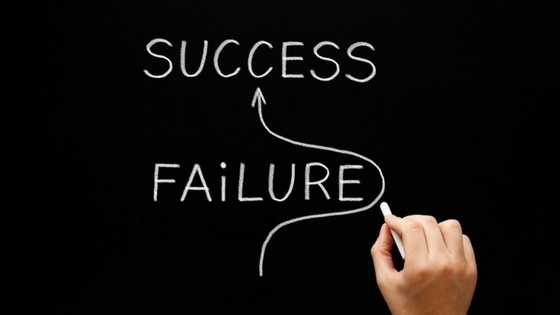 Forgetting to set expectations, goals, and objectives could turn the SIEM project into a failure. Similarly, your expectations and goals should align, and you should obtain buy-in from stakeholders at all levels. Everyone needs to be onboard with the deployment and outcomes of the SIEM. To win over your leadership team, you need the translate the technical benefits into how it benefits the organization. And for the security team, you need to select and share goals that the team can meet and get behind. Make sure your security and leadership team know about key deliverables and project milestones. It will go for a much smoother deployment with the SIEM. If you’ve dedicated internal resources to managing and monitoring your new SIEM, you should set aside the proper training and development for your staff. SIEM solutions can be complicated, and without the right knowledge, your solution could end up a flop and a bad investment for the business. During the onboarding process, make sure your team comes prepared with as many questions as possible. Doing so, will maximize onboarding time with the vendor’s SIEM specialist and enable your team to get the answers you need the most. During the planning and organization phase, if you didn’t determine the resources required to manage and monitor the SIEM you could be in for trouble. A SIEM solution can be a big investment, and without resources it can become a useless tool. A significant failure for organizations is not having any or enough resources to manage the SIEM. Without resources, your SIEM is unlikely to produce the results you need. Many often consider managed SIEM if they simply don’t have enough resources at the time but need to realize the value of SIEM quickly. Only collecting logs is not going to maximize the value of your SIEM deployment and can quickly become a failure. You need to turn the log data into actionable insights. To do so, your team must make sense of the logs through aggregation, normalization, and correlation. Your team will need to setup correlation rules to sift through the large volumes of log data and produce clear security insights. One of the biggest complaints from security pros is eliminating the “noise” from SIEMs. It’s also called alert fatigue when the SIEM generates so many alerts then the security team becomes overwhelmed. In this situation, the security analysts don’t ever maximize the real value of SIEM because they’re bombarded with irrelevant alerts. SIEMS need fine-tuning and optimization when it comes to log correlation and alerting. SIEM originated as a useful tool for managing compliance and auditing. Over time though, it has become one of the most centralized platforms for managing security in the organization. If your team is struggling to find security use cases for your SIEM you might need to take a more in-depth look at how it can be used for security. SIEM can be used for malware detection and remediation, handling brute force attacks, authentication tracking, user behavior monitoring, security policy monitoring, auditing, executive security reporting, and of course compliance monitoring for PCI DSS, HIPAA, SOX, GLBA, GDPR, and other regulations. It’s likely that your security team wants answers now but perhaps your SIEM is taking way too long to return value. After you’ve solved the issue of alert “noise,” you then need to incorporate threat intelligence feeds to help improve threat detection and response. Integrating threat intelligence feeds into your SIEM takes your security to the next level. Threat intel can be compared against the insights you see from your SIEM and vice versa. Using threat intelligence also helps you refine the SIEM and identify false positive alerts. Lastly, combining threat intelligence with SIEM enables your security team to hunt threats proactively rather than just wait for logs to come through and sift through the noise. If you haven’t incorporated threat intel feeds with your SIEM solution, you’re missing out and not speeding up your time-to-value with the SIEM. If you’re looking to quickly avoid the pitfalls of deploying SIEM and quickly realize the ROI on your SIEM purchase, then consider managed SIEM with CIPHER. 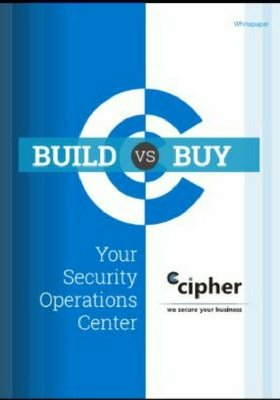 CIPHER’s security experts are here to answer your questions about SIEM solutions and manage an array of solutions so that you reap all the benefits from your SIEM purchase. Learn more below!